Reed Richards has detected a trio of dimensional anomalies that could rip the universe apart. Sounds like a job for the new FF! But if you thought the FF stood for the Fantastic Four, think again! 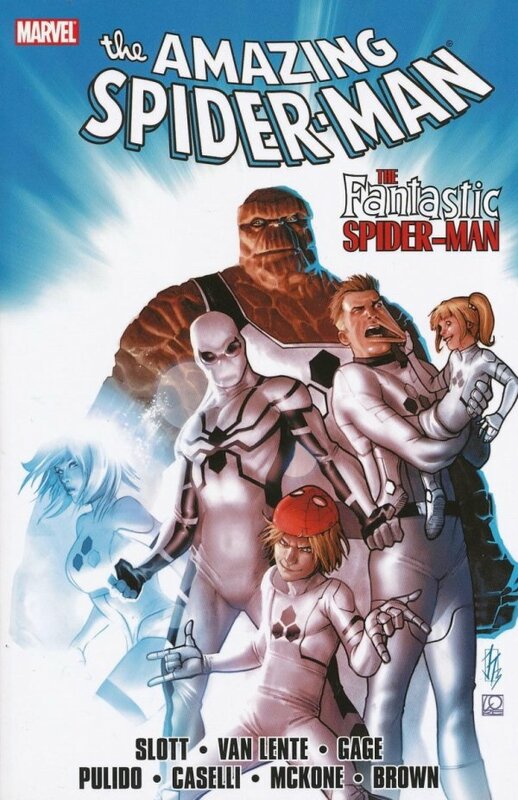 In the aftermath of Johnny Storm's tragic death, best bud Spider-Man has taken his place in the newly minted Future Foundation - standing alongside Mr. Fantastic, the Invisible Woman, the Thing and a coterie of precocious kids to bravely bring tomorrow into the now?by fighting a horde of zombie pirates and the Sinister Six! Plus: Can Spider-Man survive a day as a substitute teacher for the Avengers Academy? Collecting AMAZING SPIDER-MAN (1963) #658-662.